Check It Out! is your comprehensive bucket list of recommendations. Say goodbye to random scraps of paper, post-it notes, and emails to yourself. Now you can keep track of all your friend's and family's suggestions in one place! 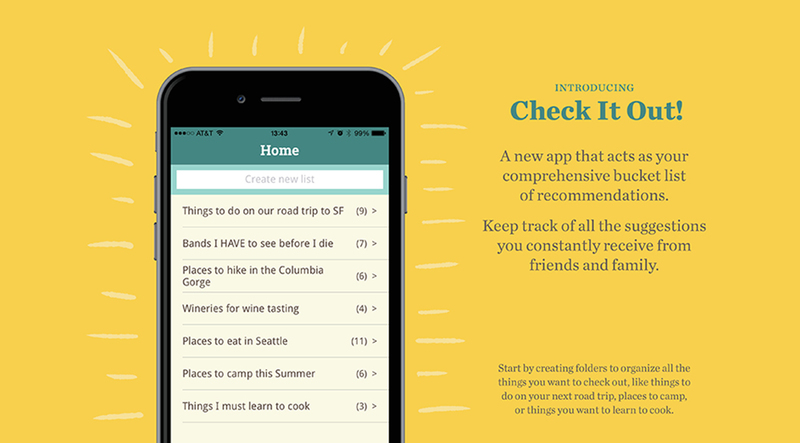 Use this app to keep track of all the activities you want to do on your next road trip, or use it to remember which wineries you want to visit when planning your weekend adventure. Check It Out! has so many uses, the possibilities are endless!